This Crossway bible guide is a helpful and easy to read Bible guide ideal for group or individual use. 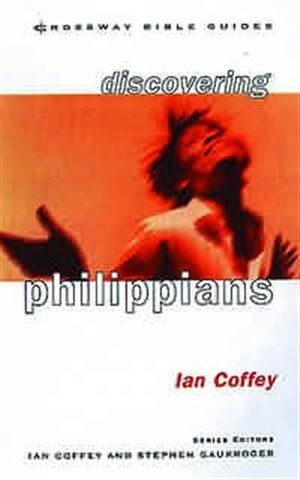 Discovering Philippians: Live Joyfully in Christ by Ian Coffey was published by Crossway in November 1998 and is our 18274th best seller. The ISBN for Discovering Philippians: Live Joyfully in Christ is 9781856841801. Be the first to review Discovering Philippians: Live Joyfully in Christ! Got a question? No problem! Just click here to ask us about Discovering Philippians: Live Joyfully in Christ.